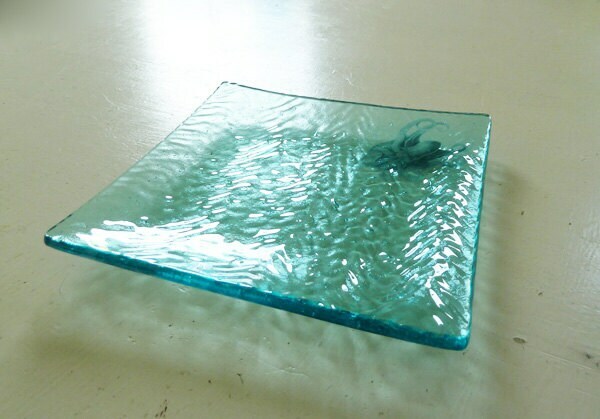 This is a medium sized dish, about 20 x 20cm. 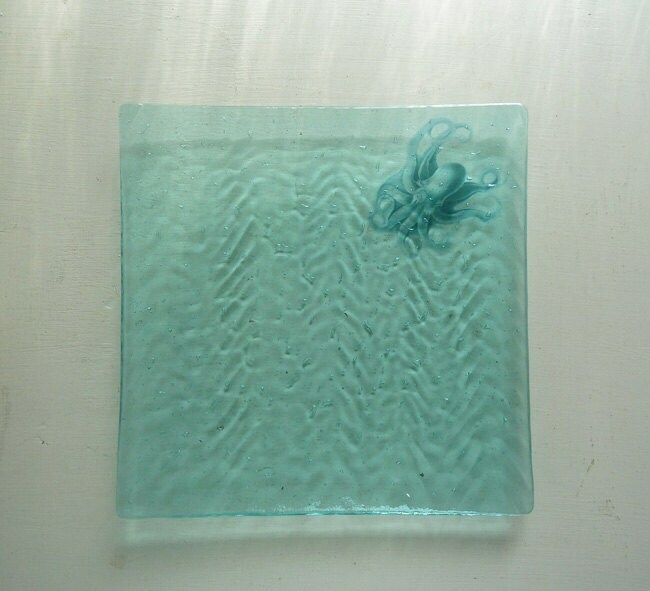 It's made from pale blue fused glass, transparent, with a wavy surface texture and tiny bubbles inside to add to the ocean feel. 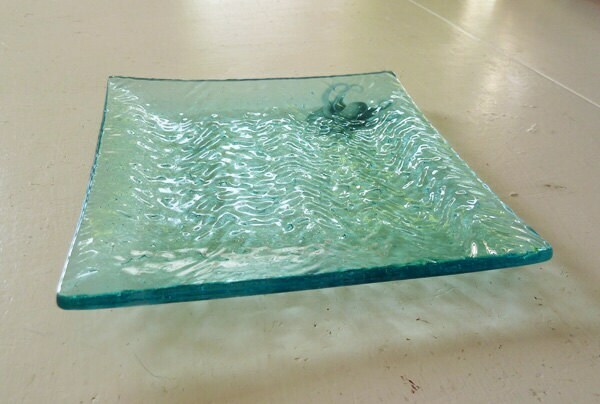 The octopus is from a vintage illustration, and is fired into the base of the glass. 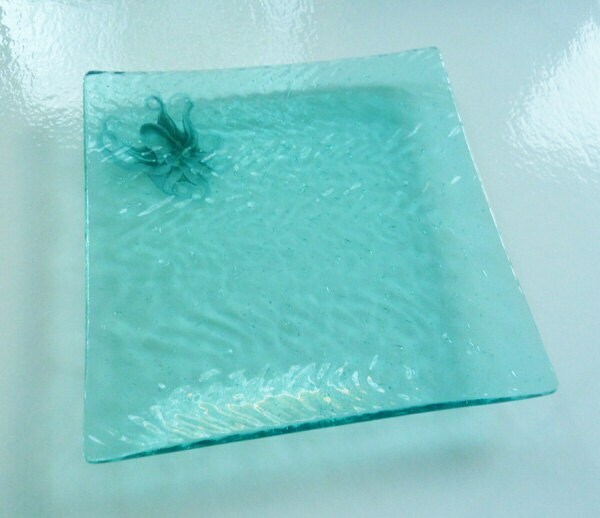 The end result is that it feels as though you're looking through the water at the octopus. 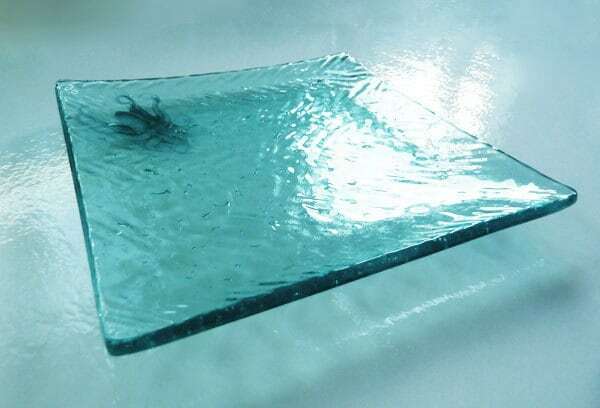 This is easy to clean with soap and water. I make these in lots of colours & with all sorts of designs on, so if you're after something particular, just let me know.